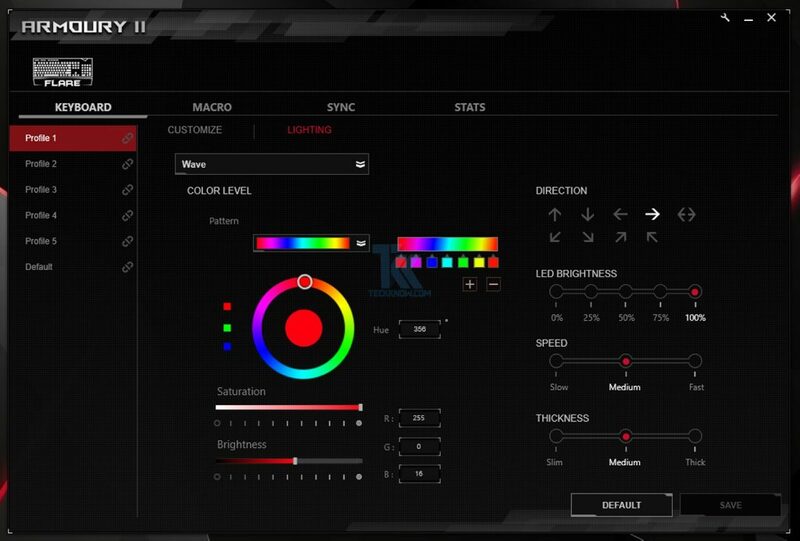 The lighting is the strong point of the STRIX Flare, there are three lighting zones, the keys them self, the sides and the top illuminated logo area all of which can be customize using ASUS AURA software. 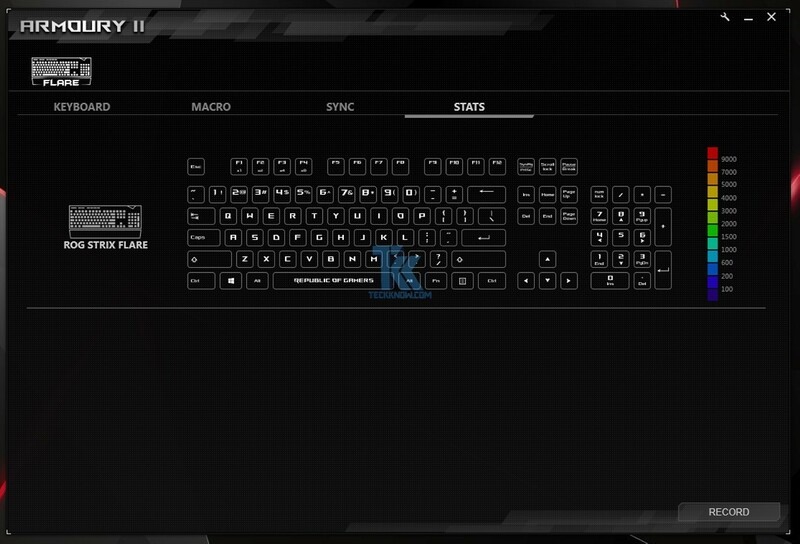 The white back under the keys helps spread evenly and provide a soft underglow to the keys. 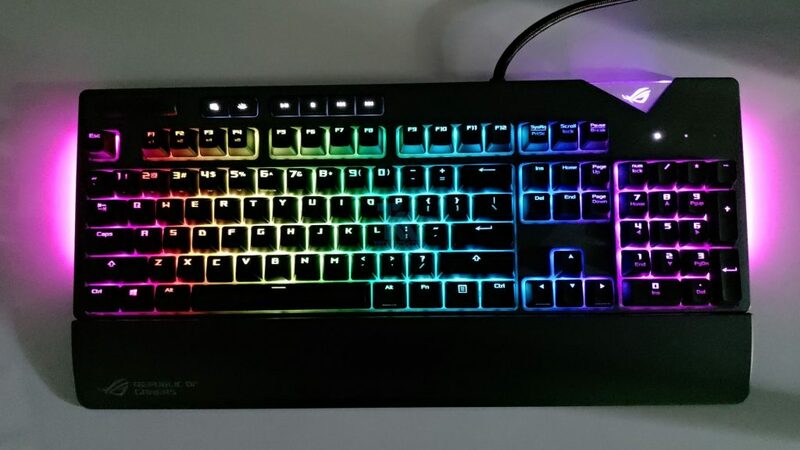 The side strips also add a soft underglow on both sides of the keyboard, which lets you extend your lighting effects beyond the keyboard. Overall STRIX Flare creates a pleasing glow effect that not very intrusive and overwhelming. 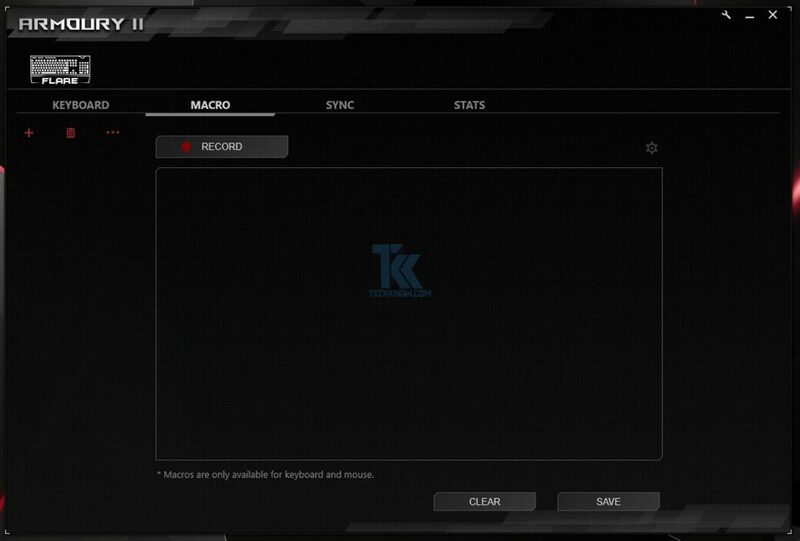 Other than lighting customization, ARMOURY II also allows per key reprogramming with built-in Macro Recorder. 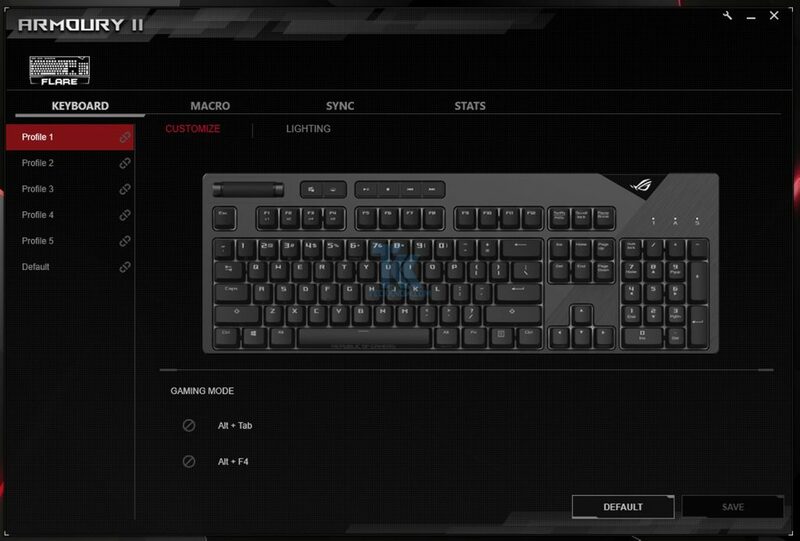 The SYNC tab allows you to sync other ASUS peripherals, but if you want to sync it with your motherboard then you need to use motherboard AURA software. 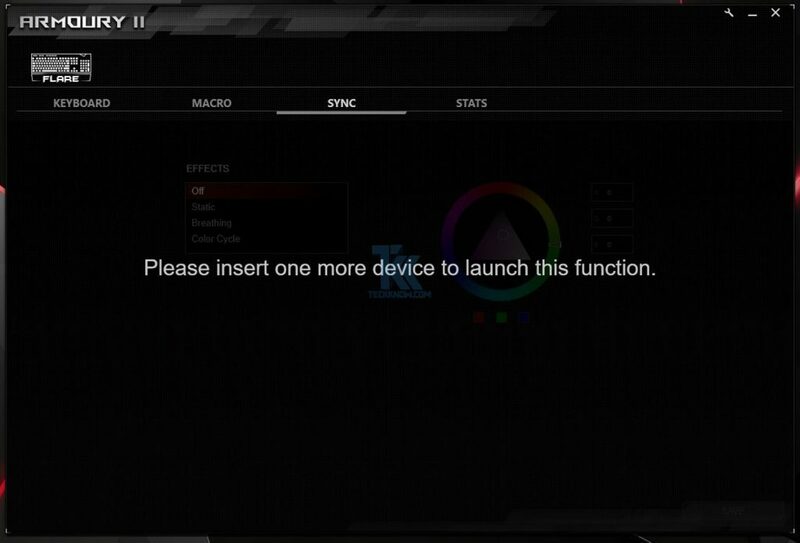 One big negative with that is you cannot use ARMOURY II when you sync it using motherboard software, means no function of ARMOURY II software like macros and others cannot be used. 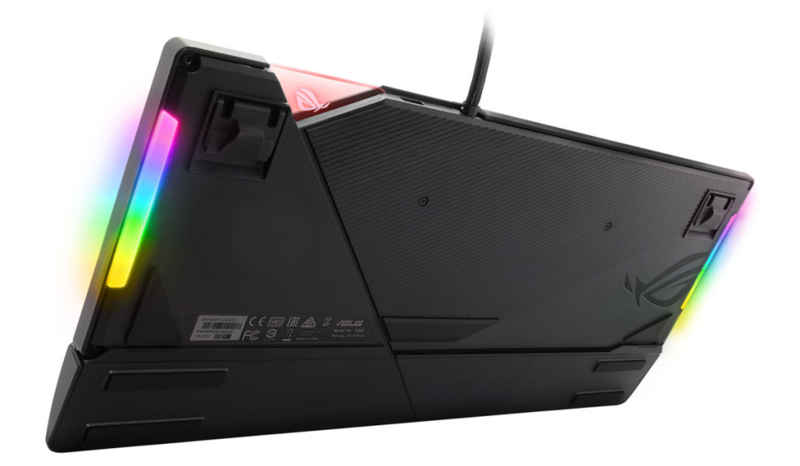 The ROG STRIX Flare another addition to Asus’s peripherals with Aura Sync-compatible hardware. 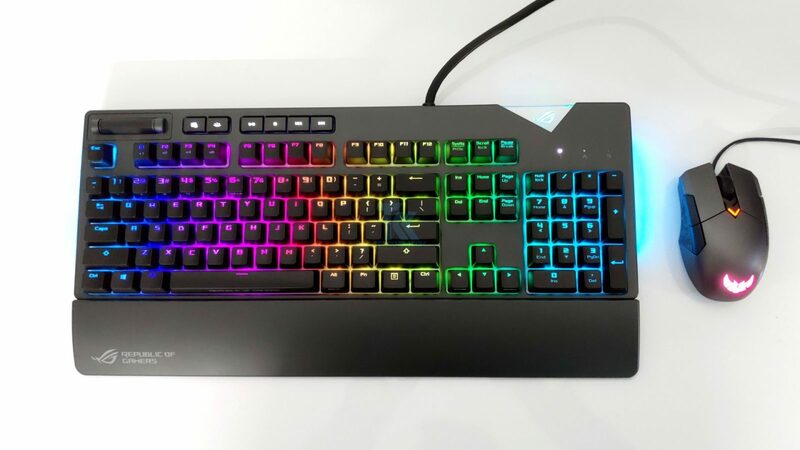 The Flare offers familiar mechanical keyboard experience with tried-and-trusted Cherry MX key switches and the touch of vibrant RGB illumination, sleek design and well- positioned multimedia controls. 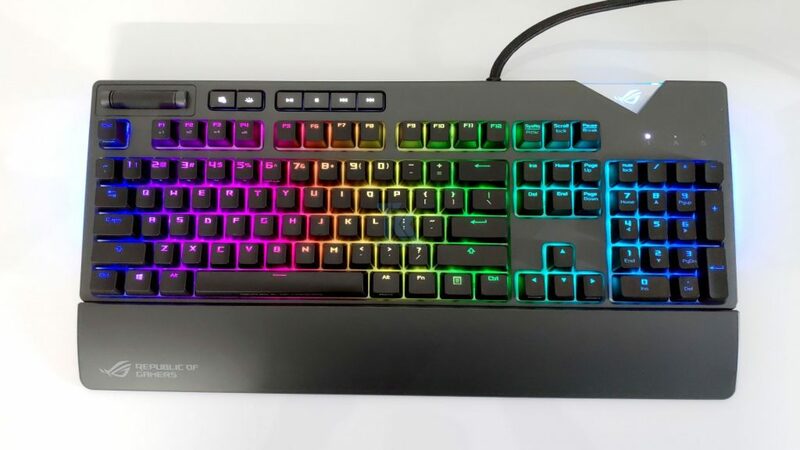 Though the price of the keyboard not cheap and it placed it direct competition with Corsair K70 MK2 and HyperX Alloy Elite both of which are formidable competitors. With all plastic construction, it feels it need some material improvement other than that ROG STRIX Flare has everything right with superior lighting effect with aura sync with dashing look and trust of cherry MX switches, thus it deserves our Gold Award.